Give yourself an unforgettable experience as you sail off into the sunset. 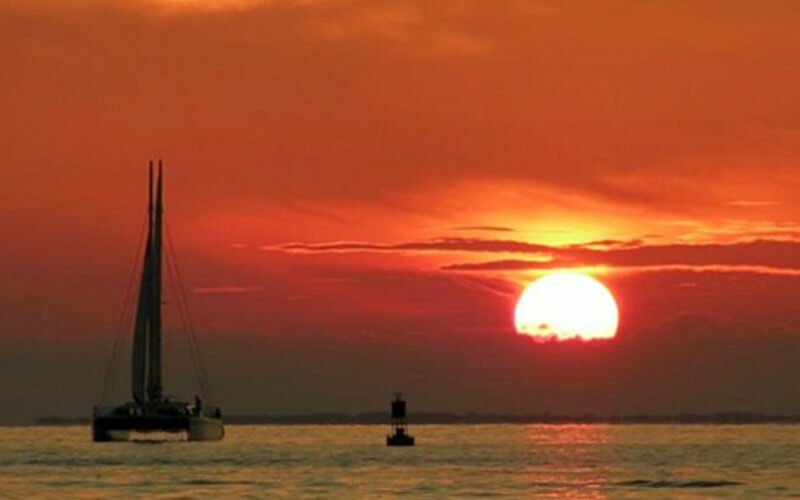 Enjoy a quiet and romantic evening on the open seas with this sunset cruise and experience the tranquillity and vastness of the open ocean. Route: Admiral Marina - Teluk Kemang - Blue Lagoon – Admiral Marina. 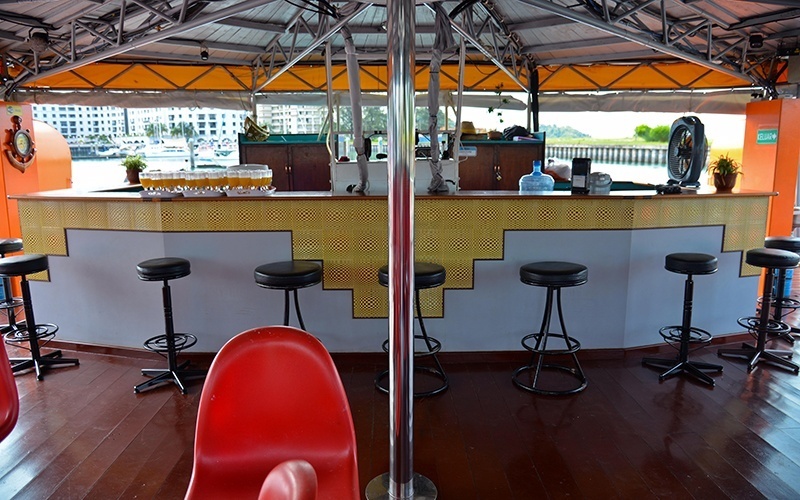 Assemble at Splash Bar, Admiral Marina & Leisure Club and enjoy your welcome drink. Registering of names and distribution of sea sickness tablets will be carried out. 4.40pm: Fish feeding at the marina pontoon. Fish food is available for purchase from Dickson Dragon Crew. 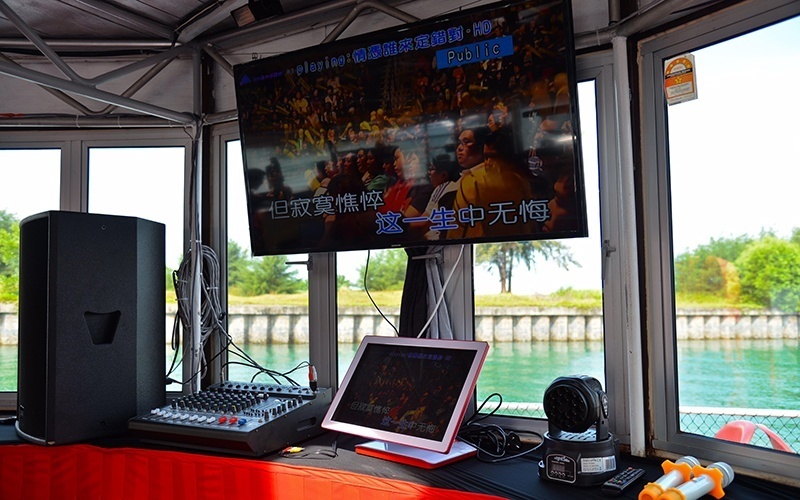 Departure of Dickson Dragon followed by welcome announcement and safety briefing. 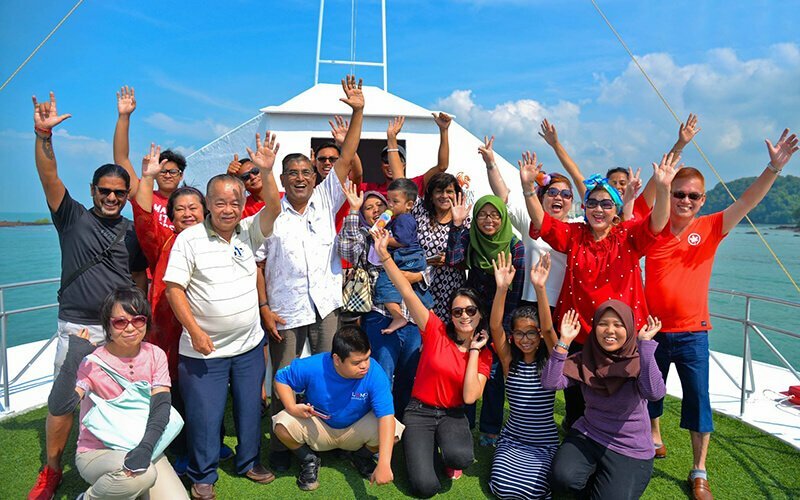 Dickson Dragon will sail south towards Teluk Kemang and Blue Lagoon. Dickson Dragon arrives Blue Lagoon. BBQ buffet dinner is ready. 6.45pm: Dickson Dragon makes a turn back to Admiral Marina. 8.00 pm: Dickson Dragon arrives back at Admiral Marina. Kindly contact +60129008200 to make bookings. Bookings must be made at least 2 days before sailing date. 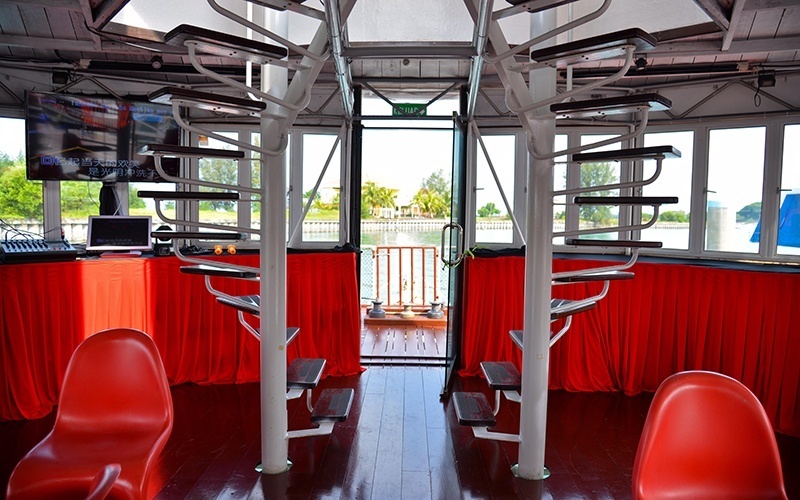 All guests going for charter to assemble at Splash Bar Admiral Marina & Leisure Club and enjoy your welcome drink. Fish feeding activity for children at Admiral Marina pontoon. Fish food is available for purchase. Kindly present ticket during registration before boarding the boat. Your ticket will only be valid for the service that has been specified upon purchase and your ticket cannot be transferred for use of any other service. If a service is delayed or cancelled due to an event outside our control (ex: bad weather or technical problems), Platinum Charters will endeavor to re-schedule the service to a different day at no extra cost. This decision will be at Platinum Charters sole discretion. If you are unable to sail on a different date, we will return 50% of the ticket price. All passengers must pay attention to and comply with all regulations and notices relating to the safety and security of the boat, crew, passengers and the boarding facilities. Please check-in at the departure point at least 20 minutes before the schedule departure time. Meals on board: If you have food restrictions or on a special diet, it must be ordered with Platinum Charters 72 hours before sailing time. Whilst Platinum Charters try to accommodate most notified special dietary requirement’s, this is not always possible. All tickets are non-transferable, not for re-sale and will become void on any transfer for value. 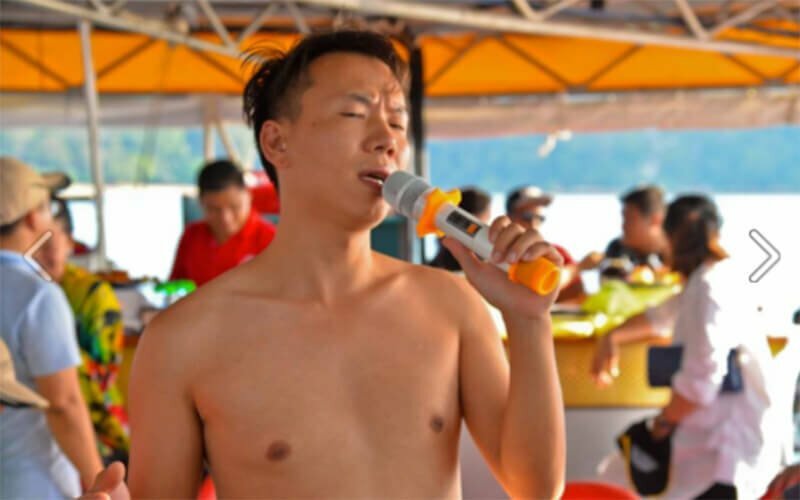 Please bring your own bathing suit and bath towels if you intend to indulge yourself in any sea activities. If you do not have a bath towel, it is available on board for rent at RM5 per towel. Seawater jacuzzi is only available for use during good weather only.The Captain of Dickson Dragon will decide on whether it is safe for use or not. Free flow of orange juice and filtered water. Mineral water, canned drinks, and beer are sold on board. If guests bring their own alcoholic beverages, corkage applies. Platinum Charters may postpone, cancel, interrupt or stop the cruise due to adverse weather, mechanical defects, dangerous situations or any other causes beyond their reasonable control. If that occurs, Platinum Charters will endeavor to re-schedule the services to a different day at no extra cost. 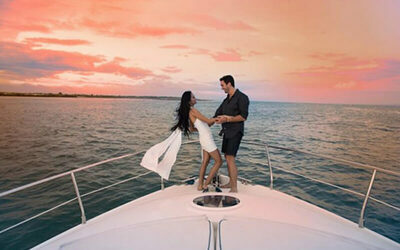 If you are unable to sail on a different day, Platinum Charters will refund 50% of the cost of the ticket purchased. Refunds will be reimbursed within 7 working days. This decision will be at Platinum Charters sole discretion. If you wish to reschedule your cruise date, we require a minimum of 48 hours notice before the original sailing date. Failure to comply with this condition will result in forfeit of total charges. Rescheduling will incur additional handling charges of RM50 per ticket.